Home » Bollywood Popular » Satyagraha, OUATIMA Trailers To Launch With Yeh Jawaani Hai Deewani? 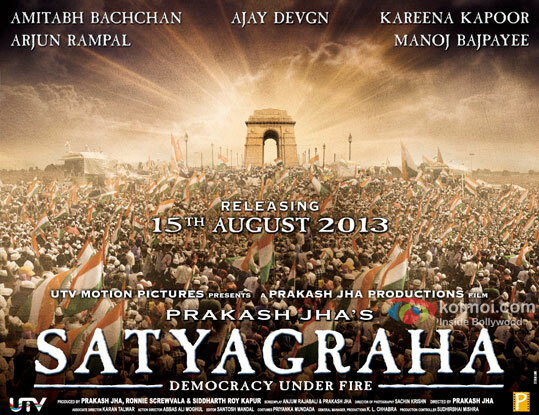 Satyagraha, OUATIMA Trailers To Launch With Yeh Jawaani Hai Deewani? Yeh Jawaani Hai Deewani is expected to mark the ending of Bollywood drought spell with Dharma’s trademark grandeur. The film that stars former lovers Deepika Padukone and Ranbir Kapoor in lead roles is the story for four friends and their quest for life’s essence. The film being a monumental occasion is serving as the perfect cue for directors to release the trailers of their upcoming films. There is a strong buzz that both Balaji’s Once Upon A Time in Mumbaai Again and Prakash Jha’s Satyagraha are contemplating on releasing the trailers of their films with Yeh Jawaani Hai Deewani on 31st May. While Once Upon A Time In Mumbaai Aagain is slotted for a release this Eid on 8th August, Prakash Jha’s Satyagraha is targeting an Independence Day release this year. Prakash Jha’s film with its polished ensemble cast of Amitabh Bachchan, Ajay Devgn, Kareena Kapoor and Arjun Rampal in lead roles is a political thriller and will attempt to make a social commentary on corruption. 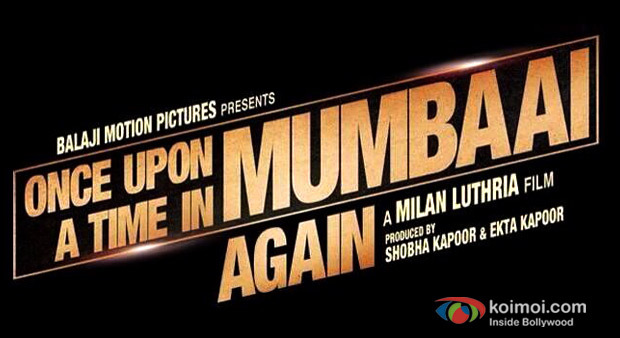 Once Upon A Time in Mumbaai Again starring Akshay Kumar, Imran Khan and Sonakshi Sinha is a sequel to Balaji’s hugely popular Once Upon series. The prequel film has to its credit a loyal following and hence it will be an intelligent step on the part of its makers to keep the buzz for the film soaring. Expected to clash with Shah Rukh Khan starrer Chennai Express, the film has an obvious resistance given SRK’s huge fan following. SRK fans are still waiting for Chennai Express‘ trailer which was expected at the IPL Finale; it is crucial for Balaji to act swiftly from now on to gain points over its colossal competitor. For Bollywood, this week will be an interesting pack. One big budget release along with intriguing trailer launches, Thank God IPL is over and world is back to normal again!